Karoline Rose, Three Forks, Mont., maintains that now is the time not to panic but an opportunity to use Facebook correctly and to its potential. Social media, specifically Facebook, has changed the way livestock producers promote events, sales and sell private treaty livestock. 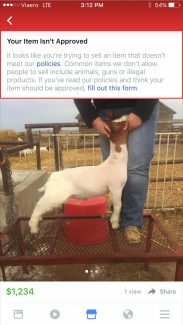 Though enacted in November, Facebook has begun to enforce their ban on selling animals, potentially changing how livestock producers market online. This development has caused ripples throughout the agriculture community online. 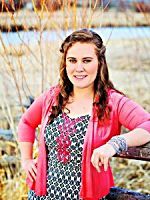 Karoline Rose of KRose Marketing and Consulting in Three Forks, Mont., is a Facebook advertising expert and avid user of Facebook as a marketing forum. Rose said now is the time for the agriculture community to use Facebook correctly rather than resorting to panic. Rose adamantly maintains that all agricultural businesses must have a business Facebook page. In fact, she explained, when potential customers search on Google for a business, the Facebook business page will appear in the results above a website in most cases. "Create a business page if you don't already have one," she said. "The second thing is to create an email list. If Facebook disappeared tomorrow, you need a way to interact with your customers." Rose said now is an opportunity to do online marketing well. Consistently posting on business pages with original content, curating an email list and using Facebook ads correctly is key. At this point, Rose said, using a business page to its full potential as part of a strategy must replace posting on multiple groups in hopes of contacting the right people. It's not uncommon for users to post inconsistently throughout the year and then post high volumes of posts leading up to an important event, like a bull sale. This is a mistake, Rose explained. Facebook algorithms determine which posts appear in the newsfeeds of potential clients and inconsistent posts will cause the algorithms to block those posts. "You can't know who you're targeting without testing your audience," Rose said. "Running a three-day ad test is the first step so you know which audience is the most responsive." An ad test involves running 10 ads with identical photos and copy with different audiences and locations. Once completed, the data and statistics can be analyzed to help producers make decisions about ads when the sale time nears. "When I run a bull sale ad, getting them to the website costs me less than a cent," she said. "That data can help you determine your budget when you reverse engineer based on your goals." Timing, a thread common and vital throughout agriculture, is also true in Facebook posts. Ads should begin running four to six weeks prior to an important event. "If you start running ads the week before the sale, you're late," she said. 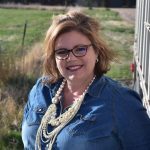 Among the huge numbers of farm and ranch operations that maintain Facebook business pages is Melanie Lowrance, of Lowrance Horses, a cutting horse and cow horse breeder in Bowie, Texas. After seeing sale posts being blocked, Lowrance was able to contact a Facebook representative who indicated that she could continue to list horses for sale on the Lowrance Horses page but not through Marketplace or Facebook groups. Lowrance Horses has maintained a Facebook business page for about three years and boasts nearly 39,000 likes. Observing Facebook livestock sales is important to cattlemen interested in price discovery and movement. Josh Williams, of Garden City, Kan., uses the informal data in his position as a field representative for Superior Productions, one of the foremost cattle marketing services. Watching real-time trends online is helpful to Williams but is, of course, only a piece of the puzzle for those intimately involved in the sale of cattle. There are a number of Facebook groups that cater specifically to the sale of farm and ranch animals that will likely face changes. Ben Wilfong, of Marlinton, W.Va., the administrator of a page titled Cattle and Equipment for Sale, posted a copy of the Facebook commerce policies for page members to review. He noted that he did not support the change. "I've worked hard to keep my site clean," he said. He explained that he has removed members for a number of reasons so the group is representative of livestock producers with honest intentions. Wilfong has not received any notifications or communications from Facebook in regards to changes to his page. Rose explained that members of groups like the one Wilfong administrates are the ones most likely to be affected if their business sells a small number of animals per year. Operations that are too small to justify the resources needed to properly maintain a business Facebook page or those who occasionally use groups to buy or sell something outside of their typical norm will find buying and selling on Facebook groups is no longer an option. These people, Rose explained, may be forced to return to more traditional, local ways and means of buying and selling livestock on a small scale. Are you looking to sell your livestock? You can run your ad in The Fence Post print and online classifieds to reach thousands of farmers and ranchers for just pennies a day! Click here for more information.